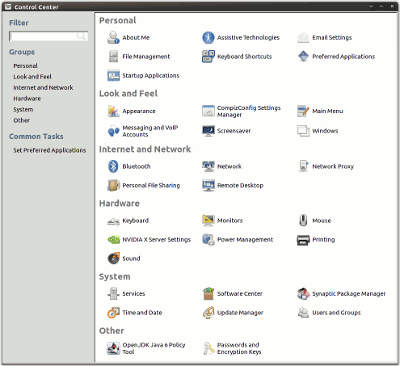 I'm running Debian Wheezy (testing) and noticed that Preferences and Administration launchers have gone missing from my System menu. After some digging, the reason appears to be that Gnome 3 has been released and its packages have been making their way into my system. Perhaps because I update with "aptitude safe-upgrade" instead of "full-upgrade", Gnome 2 hasn't been replaced with Gnome 3 entirely. So far the missing menu items have been the only symptom I've noticed. Anyway, my fix is more of a workaround and it consists of simply creating a custom application launcher for the Gnome Control Center which seems to provide access to all the admin tools previously accessible via the Preferences and Administration menus. Select "Add to Panel" > "Custom Application Launcher", click "Add"
To see what's in store for me with Gnome 3, I did a fresh install of Debian Wheezy on another partition and was pleasantly surprised by how nice default Debian Gnome 3 theme looks, though I'll still probably look for a darker theme. Can i translate this to spanish language and put in my blog??? Hi, sure, thanks for asking. Thank you! That was so simple, yet it was hard to find information. My system tray, and gear icon, and main menu, etc. disappeared quite awhile ago, and my feeble attempts to get at least the Gnome Control Center back, were futile! Still having issues with the OAFIID errors, but having the Control Center back is wonderful! Just want to say thanks. I wasted a lot of time looking for the missing menus until I found your article. thank you ! you saved me from many hours of searching ! Thank you! This helped me tremendously. 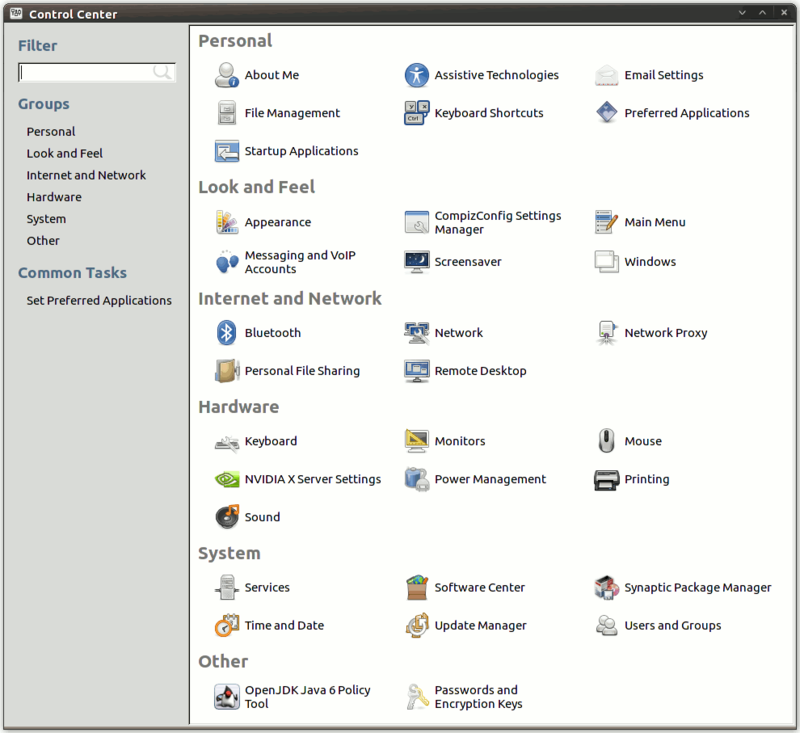 I actually added the launcher to the system tools menu within the Applications menu. The problem is most likely from libgnome-menu2. I forced the previous version to 2.30.3.1, the menu was back after a log out. I know post is old but i hope it will help someone as much a fan of Gnome2 as i am. Thank you MalakiLab. Your comment has provide me the perfect solution! I guess I inadvertently upgraded libgnome-menu2 during my learning about GNU/Linux, Debian and installing other packages. I could run synaptic from the terminal and, sure enough, libgnome-menu2 was at v3.(something). Forcing it back to 2.30.3.1 (stable) fixed it. Then I could run alacarte (or select Edit Menus) and add the Gnome Control Center too.